How to copy your video files to ThumbVideo. This is how you can copy your video files to ThumbVideo via “iTunes File Sharing”. 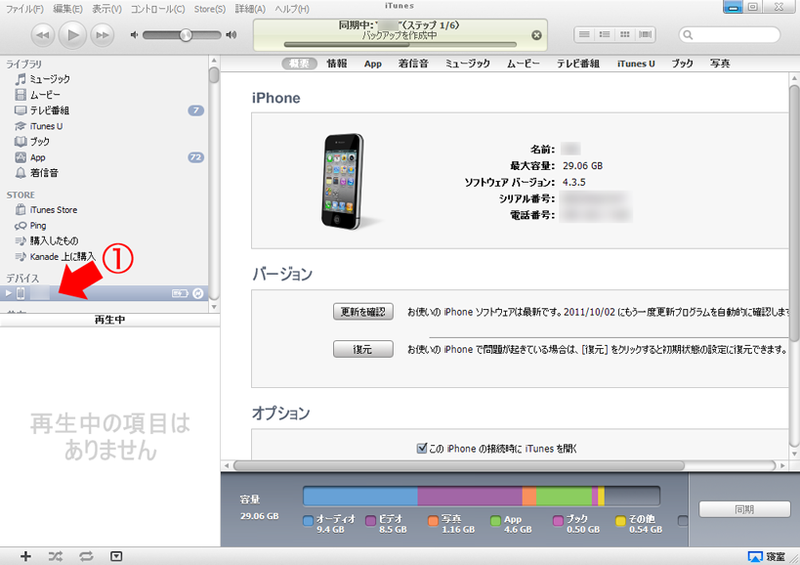 First, Connect your device to Mac/PC and start iTunes. Click your device name from left sidebar. The right pain will change as the picture above. Then click “App” with red arrow 2 and scroll the right pain to bottom (as the red arrow 3). 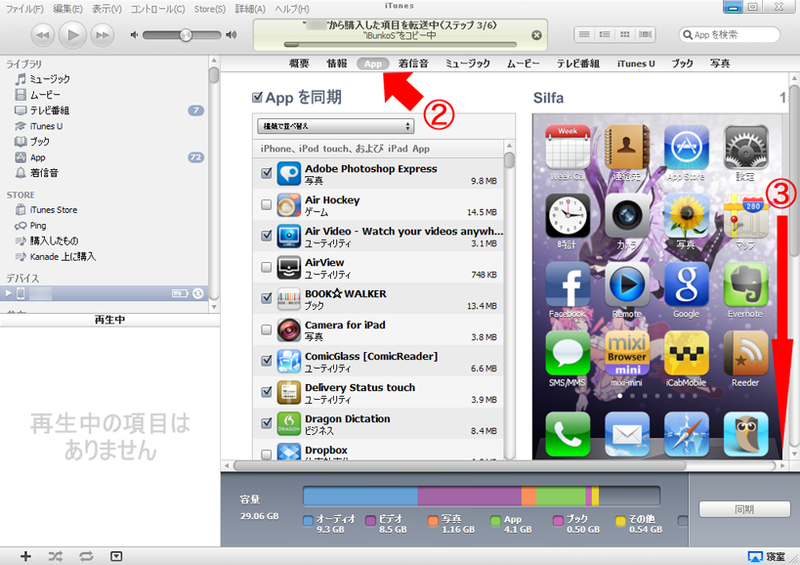 You may find the label “File Sharing” (or similar words in English) and App name list which iTunes File Sharing enabled. Choose “ThumbVideo” (as the red arrow 4). 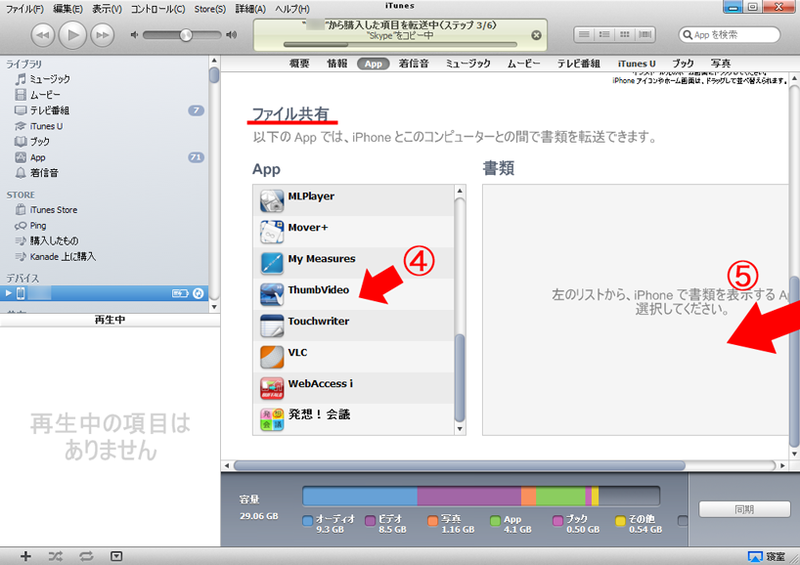 Then drag your video files from Finder (Mac) or Explorer (Windows) into the right pain (as the red arrow 5).